BLOOMINGTON, Ind. (AP) — Stevie Scott did the heavy lifting Saturday. Peyton Ramsey played the perfect conductor. Together, they kept Indiana in complete sync. 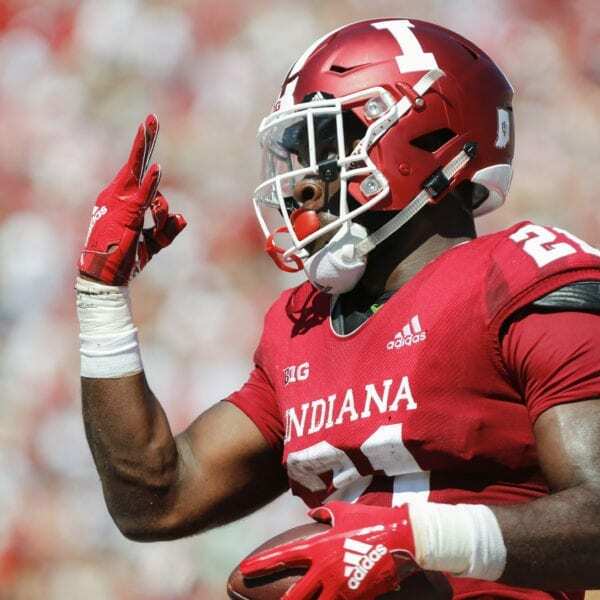 Scott ran for 114 yards and scored twice in his second career start while Ramsey threw for 173 yards and ran for another touchdown to lead the Hoosiers past Ball State 38-10. He needed only 18 carries to follow last week’s near-record performance with another 100-yard game. He’s the fastest true freshman in school history to top the 100-yard mark in consecutive weeks. And this time, Scott had plenty of help. Ramsey was 20 of 27 and ran six times for 43 yards including a 5-yard score with 22 seconds left in the first half. 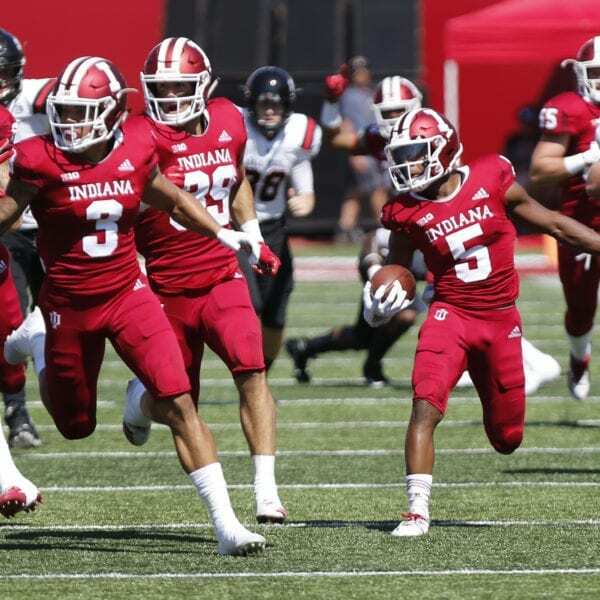 Freshman Ronnie Walker Jr. had an 18-yard TD run on the first carry of his college career, while Indiana’s defense forced eight punts and allowed just 347 total yards. Even the special teams got involved, with J-Shun Harris returning a punt 86 yards for the third touchdown return of his career and nearly scoring again early in the fourth quarter. As a result, the Hoosiers are 3-0 for only the second time in a decade and will start 2019 with a six-game regular-season winning streak against non-conference foes. Coach Tom Allen couldn’t have created a better starting script. Ball State (1-2) failed to finish on another resounding note. It has now lost five straight to Big Ten schools and back-to-back games against in-state foes. And after taking a 3-0 lead, the Cardinals never got close. 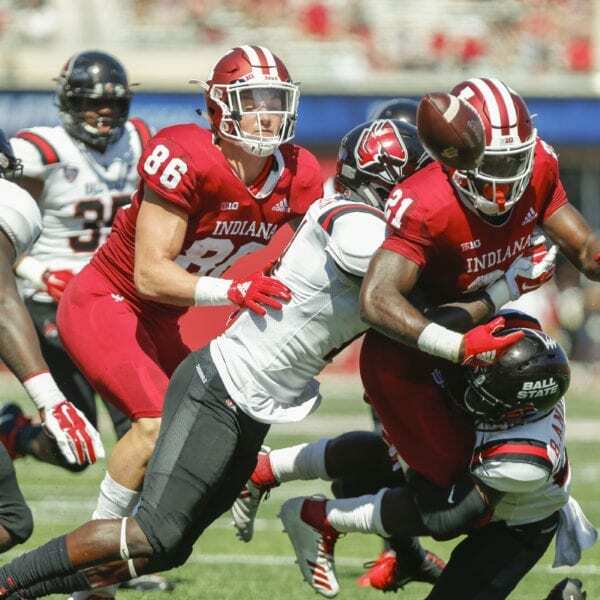 Indiana tied the score on a 21-yard field goal, took the lead on Scott’s 1-yard TD plunge and started pulling away when Harris returned the punt for a TD to make it 17-3 early in the second quarter. 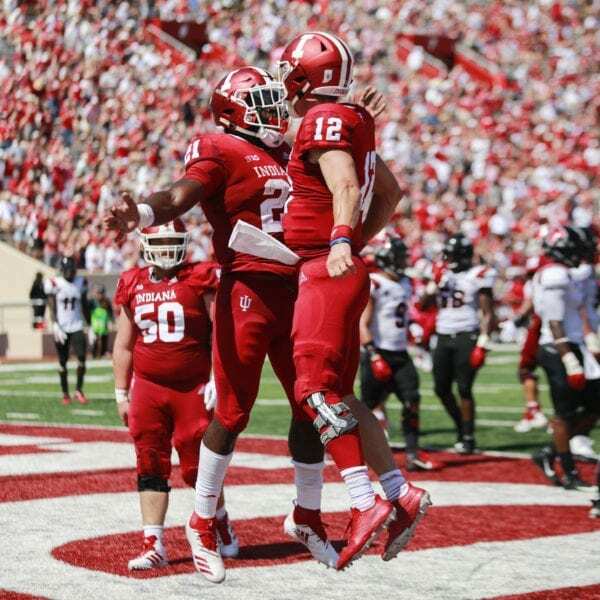 Ramsey’s scoring run made it 24-3 at halftime and the Hoosiers quickly closed it out when Walker made it 31-3. Even the Cardinals’ lone touchdown came with a near blunder as a replay review was used to see if James Gilbert dropped the ball before crossing the goal line on a 27-yard TD run. The officials didn’t have enough evidence to overturn it. Scott closed out the scoring with an 11-yard run. “He just continues to impress me,” Allen said. 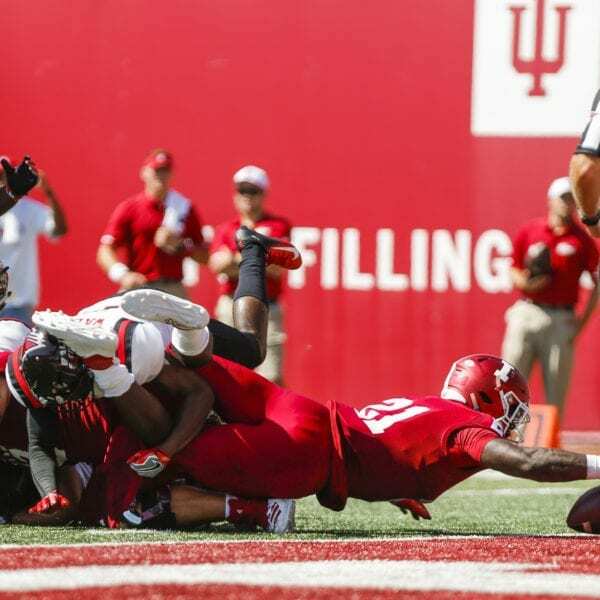 Riley Neal was 12 of 24 for 115 yards for Ball State, while Gilbert ran 16 times for 89 yards. Ball State: One week after challenging Notre Dame in South Bend, the Cardinals struggled in Bloomington. 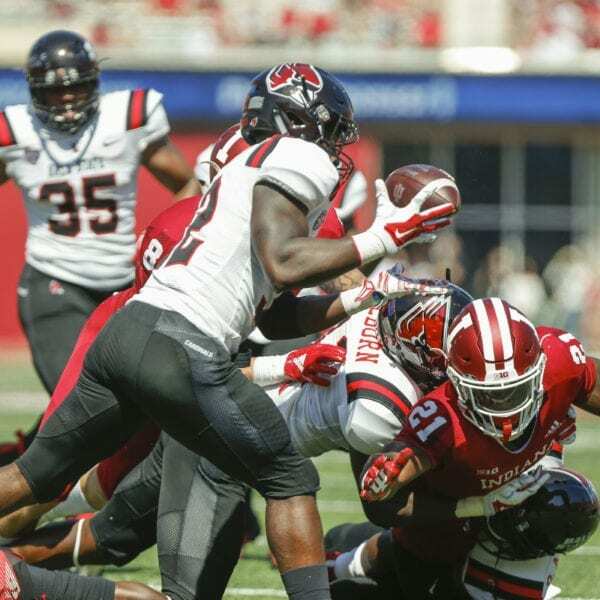 Ball State has the potential to contend in the Mid-American Conference — but it must player better than it did Saturday. 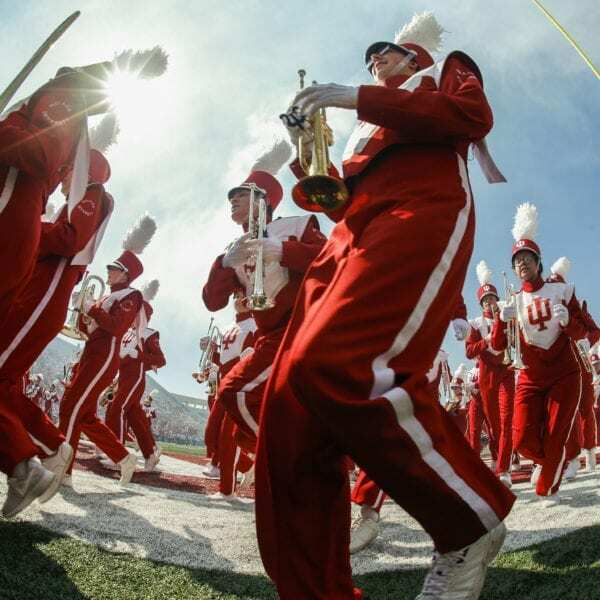 Indiana: The Hoosiers take momentum into the conference schedule after their most complete effort of the season. Ball State: Starting defensive end Sean Hammonds Jr. left in the first quarter with what appeared to be a right leg injury, came back briefly and left again for the rest of the game. Safety Lamar Anderson also left in the first half with a possible right shoulder injury. He did not return. Indiana: The Hoosiers did not appear to suffer any significant injuries. While the Cardinals’ offense couldn’t sustain drives and the defense struggled to get off the field, Ball State’s biggest problem might have been special teams. Morgan Hagee missed a 48-yard field goal after making a 49-yarder last week at Notre Dame. 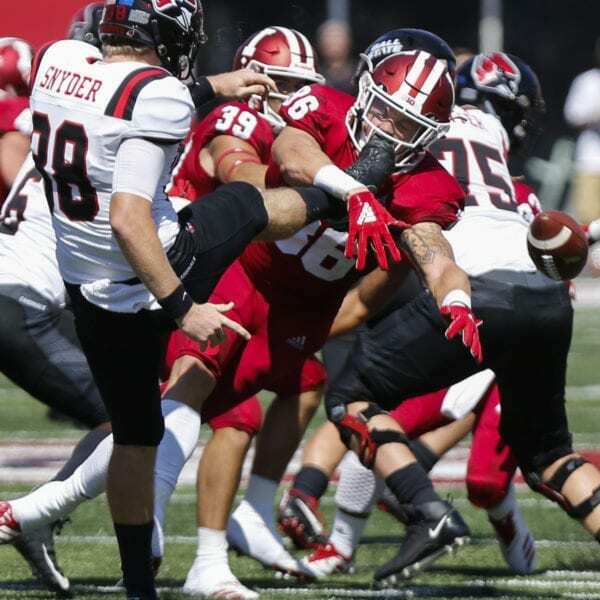 And in addition to giving up the punt return to Harris, Indiana’s Peyton Hendershot blocked one punt and Ball State nearly allowed another punt return for TD before running Harris out of bounds near the Ball State 5-yard line. The return was negated by an illegal block. Ball State: Returns home next weekend to face Western Kentucky. 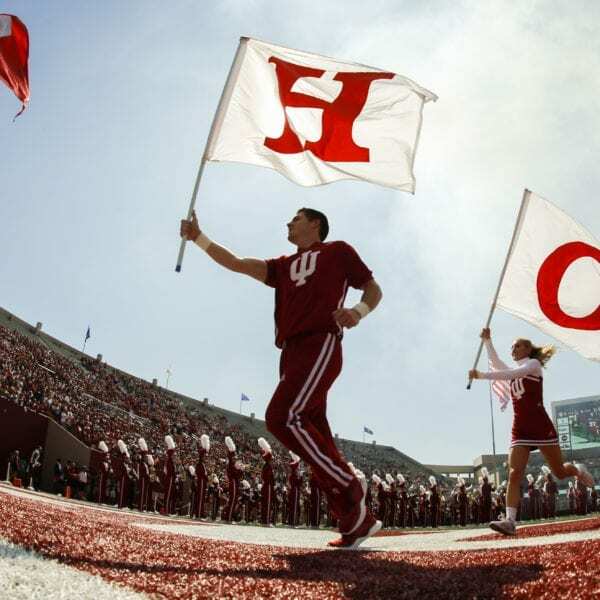 Indiana: Can celebrate its second 4-0 start since 1991 — if it beats No. 25 Michigan State at home next Saturday. Be the first to comment on "Hoosiers Run Past Ball St. For Perfect Non-Conference Start"